CentrePort Canada, located in Manitoba, is North America’s largest inland port; a unique tri-modal hub for the distribution of goods to North American and global markets. At 20,000 acres, the inland port offers high-quality prime industrial land for any size of development including manufacturing and assembly, warehousing and distribution, agribusiness, food processing and packaging, and transportation-related logistics. Since 2008, 54 companies have set up new operations on 400+ acres at CentrePort. All of these companies need access to quality products and services to support their growth, which CentrePort assists with by connecting them to various industry experts through its Marketing Partnership Program. One asset that needs to be built and maintained for virtually all CentrePort companies is a skilled, reliable and diverse workforce. With the largest Indigenous population of any major city in Canada, companies at CentrePort and throughout the capital region are more motivated than ever to ensure their workforce growth strategies engage Indigenous communities. As a proud member and signatory of the Winnipeg Indigenous Accord, led by the City of Winnipeg, CentrePort is committed to advancing reconciliation through economic development and job creation. One of CentrePort’s newest partners, Working Warriors, provides a turn-key solution for companies looking to engage an Indigenous workforce. The organization is building a national skills inventory and database of the Indigenous workforce. Located at CentrePort, Working Warriors creates pathways for engagement and removes barriers to accessing Indigenous communities and employees. 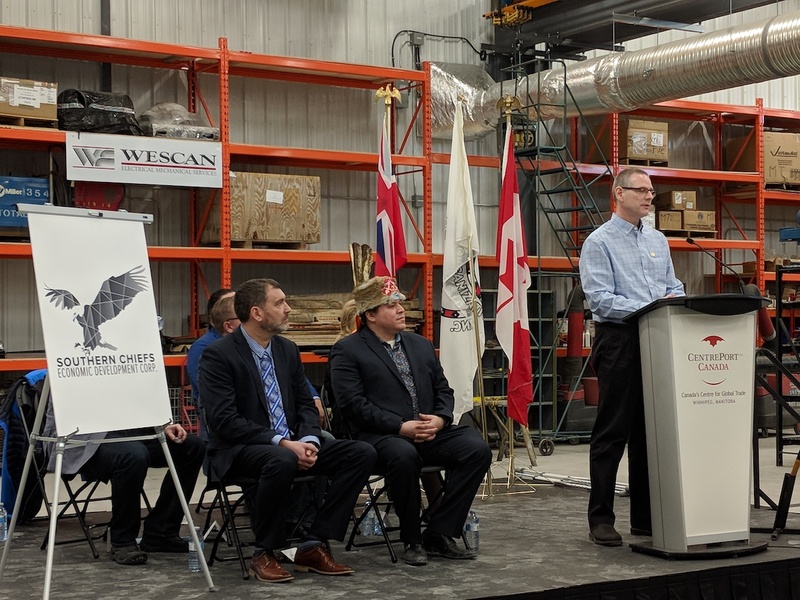 CentrePort will connect Working Warriors with companies at the inland port, to create employment and training opportunities that will benefit both Indigenous communities and Manitoba companies. One of the first companies CentrePort connected to Working Warriors was CN, who is currently exploring ways to advance its hiring goals by capitalizing on Working Warriors’ database and expertise. Other CentrePort located companies and partners already seeing success by engaging with Working Warriors include Bird Construction Inc. and the Wescan Group of Companies. This is a guest blog post courtesy of CentrePort Canada, a marketing partner of Economic Development Winnipeg.